If you’re tired of looking tired, then maybe it’s time to do something? You rest, you eat right, you exercise, but if you look in the mirror every day and see someone unrecognizable looking back at you, then we can help you. Every one of us is susceptible to the effects of age on our bodies. Some of us just succumb at a slower rate or with a bit more grace than others thanks to good genes and a touch of luck. But you don’t have to settle for looking older than you should. Today’s treatment options in cosmetic dermatology are surprisingly easy, highly effective and accessible to everyone! Small tweaks in your appearance can make a big difference and leave you looking younger, more rested and refreshed. Laser resurfacing is an ingenious procedure that’s designed to force your skin to act (and look) younger by increasing your collagen and elastin. These two things naturally diminish with age; we also lose the ability to make more of them as we get older, simply adding to the problem! Laser resurfacing options have never been more varied than they are today. So, before you sign up for treatment, you need to understand what your choices are and talk to someone about which one is right for your skin and your lifestyle. There are two options for laser resurfacing: ablative and non-ablative. Here at Celibre Medical, we offer both to our patients. What’s the difference? There are a few. Let us start by saying that both types work to stimulate collagen production. They differ in the exact way that they do that. Ablative lasers remove skin. Both the epidermis (outer layer) and dermis (middle layer) are affected by ablative lasers. This forces the production of collagen and elastin in the dermis, but it also stimulates your body to make a new epidermis. Together, these changes can drastically improve the appearance of sun damage, fine lines and wrinkles and laxity of your skin. The drawback is you will need time away from work, school and social activities while you heal. Usually 4 to 7 days on average. Non-ablative lasers do not remove skin. They work by creating damage in the dermis via heat energy only. So, while your epidermis remains intact and unharmed, the heat in the dermis triggers your body to make collagen and elastin. You don’t have to “heal” in the same way that you do with ablative laser resurfacing, so this option is generally referred to as “no downtime”. The trade-off is that your results may not be as dramatic as with ablative resurfacing. 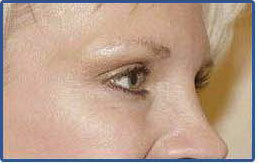 Now, if you’re thinking that laser resurfacing is the end-all answer to your “aged” look, you need to think again. It is an important piece of the puzzle, but it’s not the answer to every age-related problem in the face, at least not for everyone. Many people will also require injectable treatments such as Botox and/or Dysport. These are vital treatments that relax certain aspects of facial movement that can make you look older (think furrowed brows, down-turned corners of the mouth, forehead and crow’s feet lines). These treatments can lift and shape your features and help your skin look even smoother and flawless after laser resurfacing. Dermal filler injections with products such as Restylane, Juvederm and Restylane Lyft are another important piece of the anti-aging puzzle. These products are hyaluronic acid (HA) gels. They help smooth away lines, wrinkles and creases that we see when our faces aren’t moving (think heavy creases around the nose and mouth). These types of injections can also be used to “fill” hollow cheeks and temples, thin lips and correct the heavy look of jowls by replacing volume in these areas that we lose naturally as we age. The HA does this by attracting water from surrounding tissues. This means that you not only see an immediate correction with injection, but that your results continue over time. 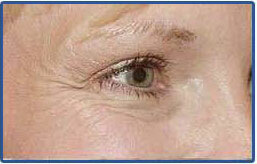 HA is also very important in the production of collagen, so dermal fillers complement laser skin resurfacing too! Aging isn’t always easy (or fun), but the way you look on the outside should mirror the way you feel on the inside. With the help of an experienced, knowledgeable and talented cosmetic dermatology practitioner, you can formulate a plan of attack. You may not need every treatment discussed here, but you should have a thorough evaluation and a long discussion about what your goals and needs are. This is what we love to do here at Celibre Medical! Helping our patients develop a treatment plan, executing it and seeing the fantastic results and their happy faces is what makes us tick. If you’d like to know more about our treatment plans or discuss which treatments may be right for you, please give us a call today! Our consultations are free and we’d love to meet and get to know you better!